Most of trumpet-blowing Memphis bandleader Willie Mitchell's greatest production triumphs came with male soul singers—Al Green, Otis Clay, Syl Johnson. 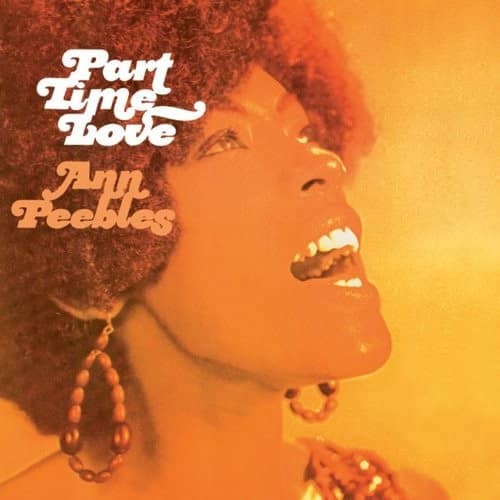 But he had one lady oozing soul from every pore at his Hi Records operation: Ann Peebles. Born April 27, 1947 in East St. Louis, Illinois, her father was a minister, and she sang with The Peebles Choir as a little girl. But the blues also caught her ear. "I started peeping into club windows at a very early age," she says. "Somebody that really stood out was Tina Turner, who was very young at the time herself. I can remember her being at the Firehouse, when they used to have big dances there. I used to be in the window for the whole show, just watching." St. Louis saxman Oliver Sain was supportive, but it was trumpeter Gene 'Bowlegs' Miller that proved the diminutive chanteuse's conduit to a recording contract. "I came to Memphis with my brother. He was dating a girl here, so I rode down with him. And we went out to a club thatnight, the Club Rosewood. And Gene 'Bowlegs' was playing there with his band. I asked to sit in with him, and I did a song with him," says Ann. "Afterwards, he asked me, did I want to record? That's how I got started there. He took me to Willie Mitchell, and I started from there." Ann successfully auditioned for Mitchell by singing Jimmy Hughes' Steal Away, the same number she'd done with Miller's band. 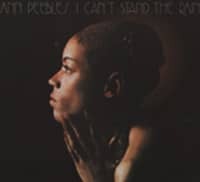 Her spine-chilling '69 Hi debut, Walk Away, brought back a number Sain had originally written for Mitty Collier at Chess, and it proved a sizable R&B hit for Ann. Hi's house band (guitarist Mabon 'Teenie' Hodges, his brothers Leroy on bass and Charles on organ, and drummer Howard Grimes) was always a prime factor. "I think all the right ingredients were there then," Ann says. "It took Hi Rhythm, it took Willie Mitchell, it took the Memphis Horns and the writers and the artists. All those ingredients put together made the best cake." Part Time Love had already been a 1963 smash for Little Johnny Taylor, but Ann rejuvenated the impassioned blues with a stomping upbeat groove. "I always like to put me in a song, because the other artists have already did the songs," she says. "When I do it, I like to do it as I feel the song." It was her biggest seller yet, stopping at #7 R&B and #45 pop. 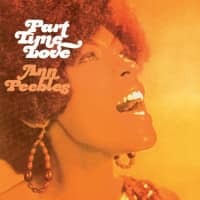 Peebles subsequently pierced the R&B hit parade with Breaking Up Somebody's Home, I'm Gonna Tear Your Playhouse Down, and her top seller in '73, the haunting I Can't Stand The Rain, which she co-wrote with her husband and Hi labelmate Don Bryant and deejay Bernard Miller. Peebles stayed with Poppa Willie at Hi until the label's late '70s demise (her seductive '75 hit Come To Mama was later revived in gender-switched form by Bob Seger). She's still musically active, and she presumably still can't stand precipitation. Kundenbewertungen für "Part Time Love"